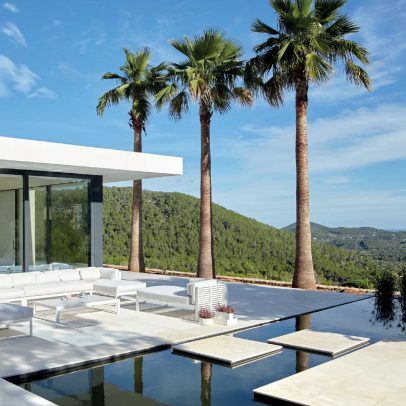 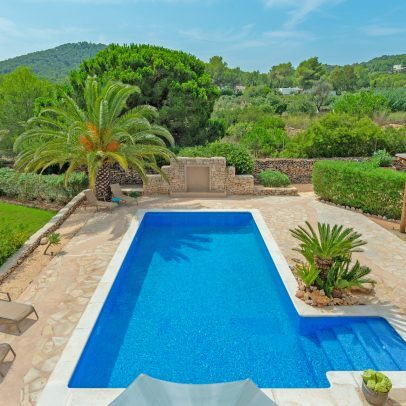 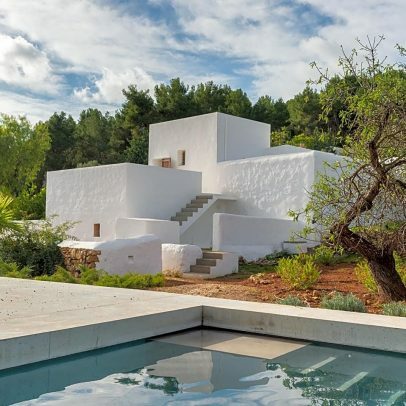 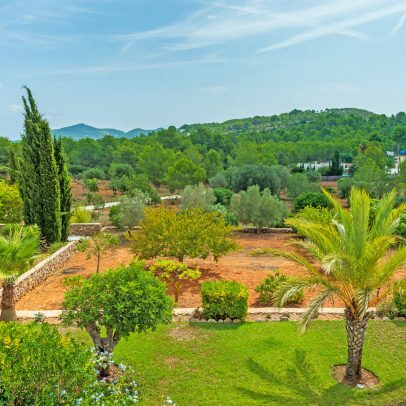 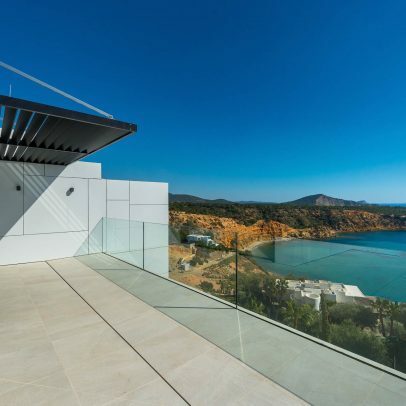 Located on the old road to Santa Eulalia, this Mediterranean-style villa enjoys a beautiful panoramic view over the garden and the surrounding green hills. 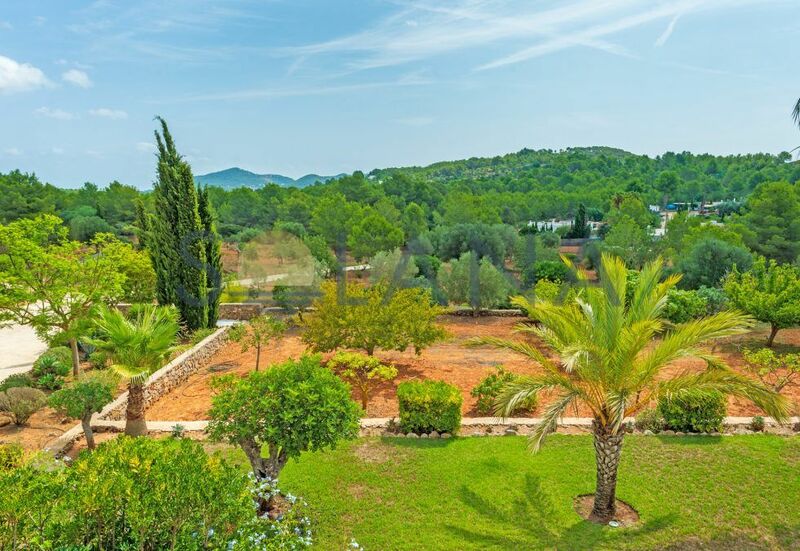 The slightly sloping terrain is fully fenced and has 2 automatic opening gates. 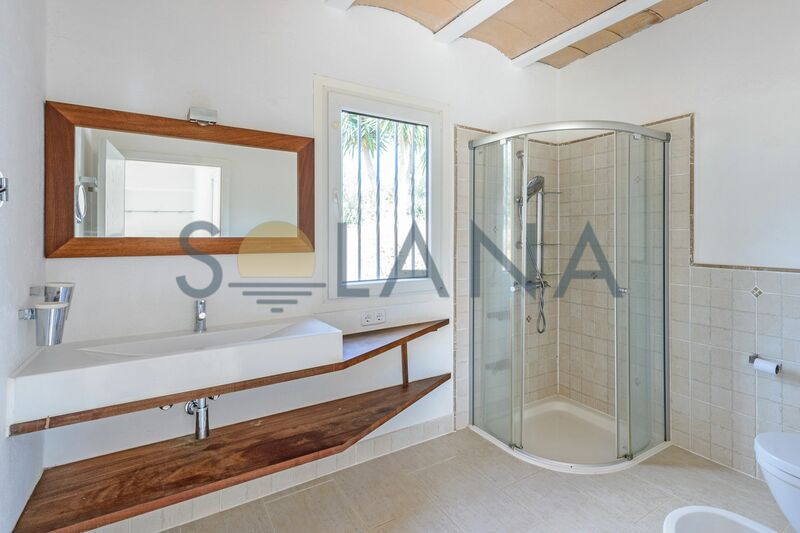 The house has been recently renovated with polished cement providing freshness to the style of the house. 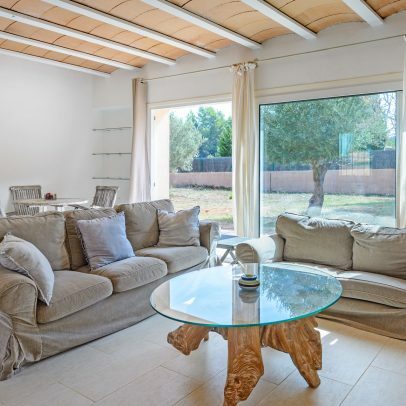 · Large living and dining room with chimney and bay window that opens onto the terrace. 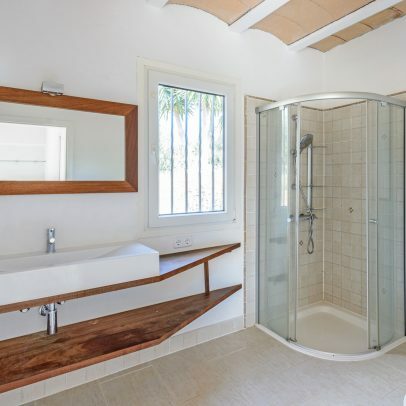 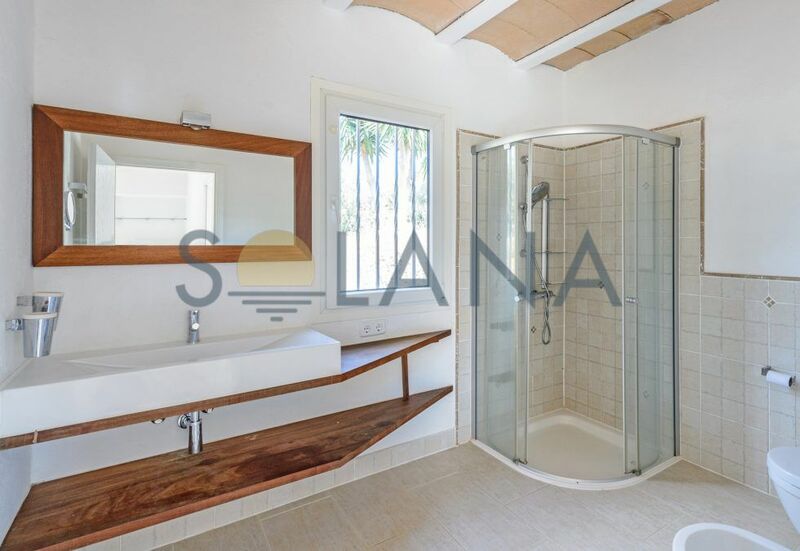 · Master bedroom on the first floor with bathroom with bath tube and shower, dressing room and large private partially covered terrace with beautiful views aver the hills. 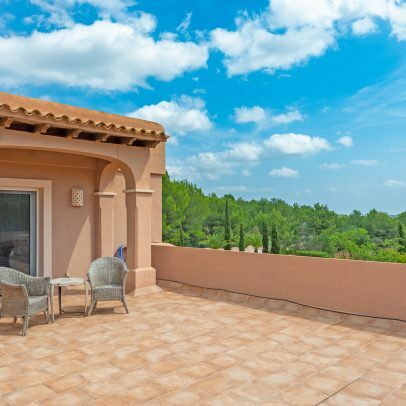 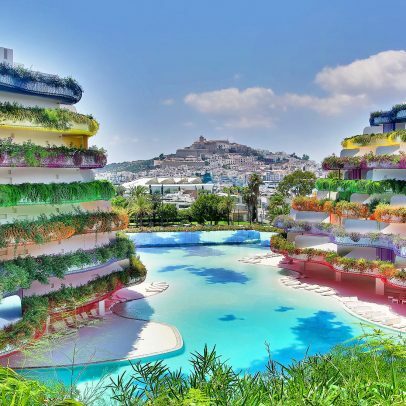 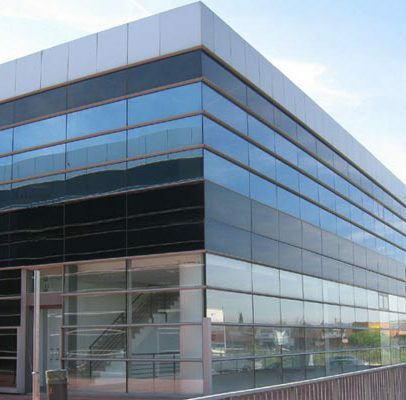 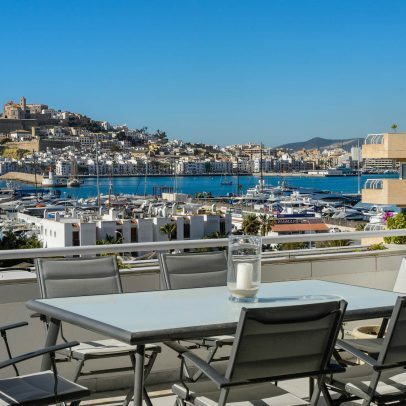 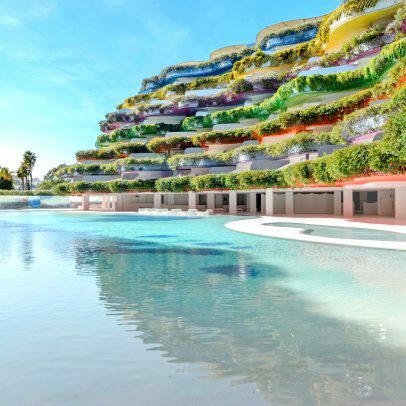 · Covered terrace east facing with outdoors dining room and summer lounge. 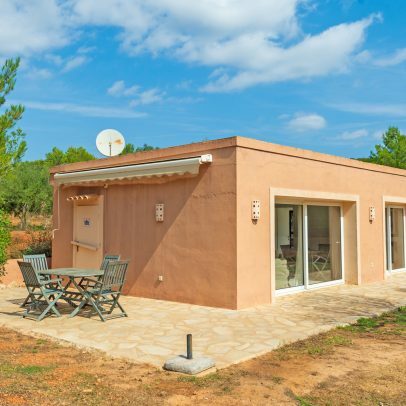 Independent guest studio with double bedroom, shower room, small kitchen and terrace. 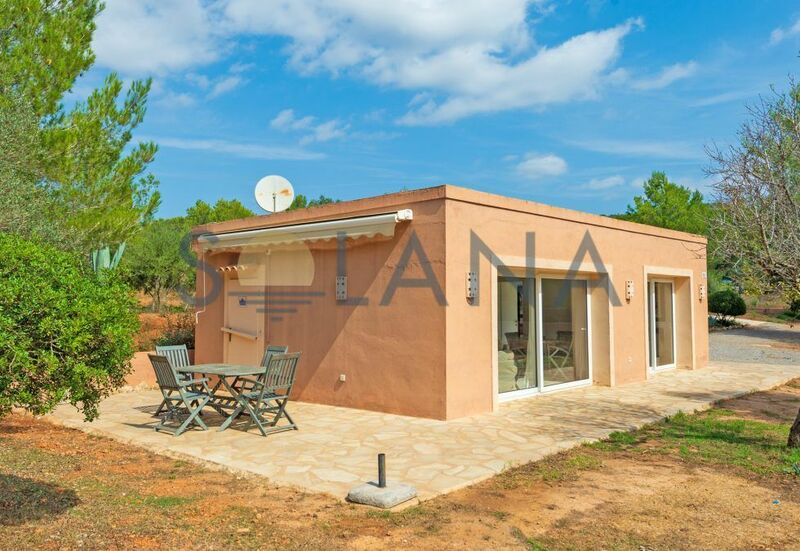 Independent bungalow separated from the house that consists of a large open space with living and dining room, open kitchen, shower room, bedroom and terrace with sun awning. 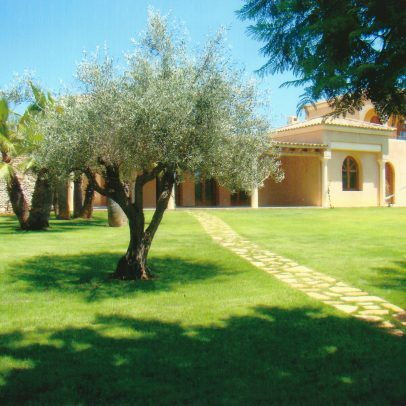 WELL MAINTAINED MEDITERRANEAN GARDEN with numerous paved paths and stone walls with Mediterranean plants, lawns, mature trees such as palm trees, washingtonias, cypresses, yuccas, bamboo and also different fruit trees, carob trees and olive trees. 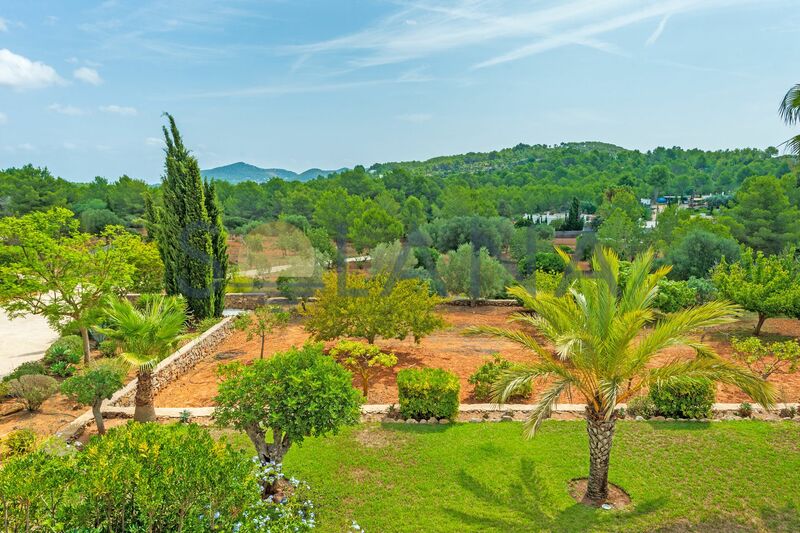 AUTOMATIC IRRIGATION and LIGHTING .